We benefit from Open Source today which is supported by the term Open Source is defined in 1998 from Debian Free Software Guideline. 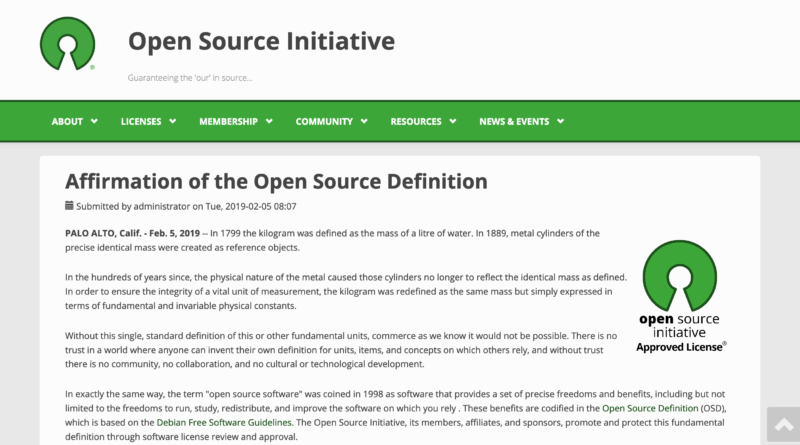 Open Source Initiative (OSI) promote and protect this definition through license review and approval. Without this single standard definition, it is no trust in a world where anyone can invent their own definition. Recently an opinion claims that it is no need for a single authoritative definition, it benefits the interests of a few rather than the benefit of all. If allowed to continue, these efforts will erode the trust of both users and contributors, and hinder the innovation that is enabled by open source software. 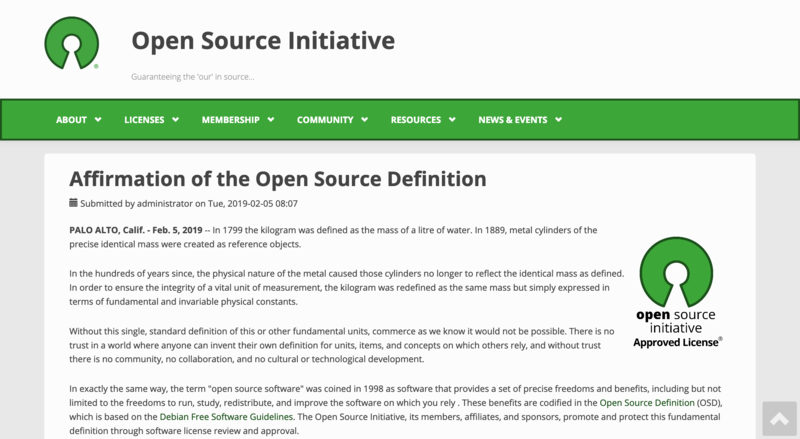 Open Source Hong Kong (OSHK) and OSI pledge to guard and maintain the Open Source Definition and we recognize the OSI as the steward of the Open Source Definition.